Pick Your Own Flowers to Bring Some Color Into Your Home! 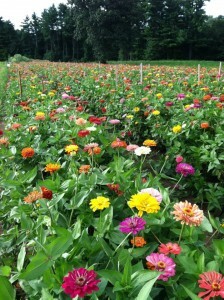 In addition to pick your own fruit, we also offer cut-your-own flowers here at Parlee Farms! 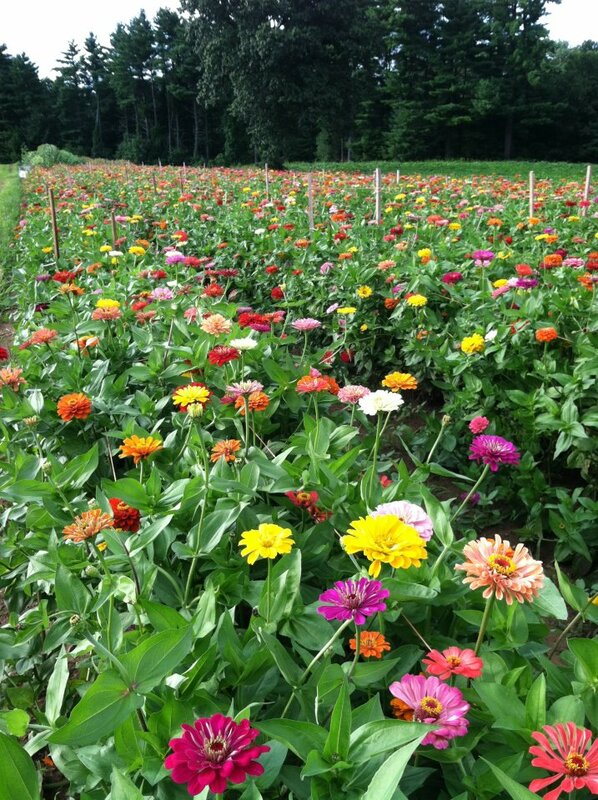 Every spring we plant over 10 shades of ‘Benary Giant’ zinnias, 5 varieties of beautiful sunflowers, and more than 15 colors of gorgeous gladiolus and dahlias covering one acre. We supply the bucket and shears and after you have created that perfect arrangement of flowers and color, we will wrap them up for you to take to your home or to give as a gift. • We find that zinnias and dahlias are best cut with 12-14″ stems. If the stems are much longer, the flowers tend to bend over. • Gladiolus should be cut off at the ground with only 1-2 flowers open – the rest of the flowers on the stem (4-6 of them) will open when placed in water. • Sunflowers usually have only one flower per stem. We plant them close to keep the plant at about 5-6 ft. in height. At that height, the sunflower itself is under 12” in diameter – perfect size to put in a vase. • Zinnias and sunflowers are from seeds, while gladiolus and dahlias are bulbs which are dug up every fall and replanted in the spring. All flowers should be cut using a scissor and the stems should immediately be placed in water. The bouquet will last almost a week in fresh water. Fresh picked flowers can also be purchased in our Farmstand. We create bunches of fresh picked flowers every morning. The flower field will be open until late September. Visit our farm news page at https://parleefarms.com/farm-news/ for details on pick-your-own hours and prices. We look forward to your visit to our flower garden!